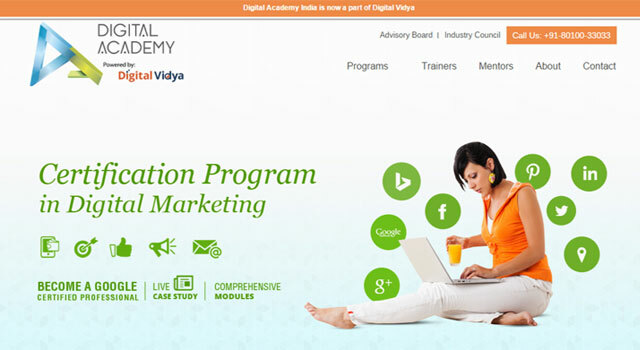 Delhi-based digital marketing training firm Engaging Ideas Pvt Ltd, which operates under the brand name Digital Vidya, has acquired Digital Academy India, which offers similar services, for an undisclosed amount, according to a press release. Digital Academy was founded by the husband-wife entrepreneur duo, Gaurav and Aditi Oberoi in August 2012. Anannya Roy Sen joined them later as a senior partner. The company has trained over 5,000 professionals across the country, apart from digital marketing teams of various companies on customised corporate training programmes. "This consolidation of expertise in training and certification will create a great learning platform for individuals and organisations wanting to leverage the power of digital marketing," Gaurav Oberoi, co-founder and CEO at Digital Academy India said. Post acquisition, the management team of Digital Academy India has completely exited the venture. The acquisition of Digital Academy India is expected to help Digital Vidya augment its presence in digital marketing certification programmes, said Pradeep Chopra, chief executive officer and co-founder of Digital Vidya. Digital Vidya was started by IIT-Delhi alumni and serial entrepreneurs Pradeep Chopra and Kapil Nakra in 2009 and has so far seen over 6,000 professionals from over 3,000 brands such as Nokia, Google, eBay, Reliance, Star TV, Cisco, MakeMyTrip, Naukri, SAP, Citibank, Toyota, Intel, ITC, CNBC take digital marketing training programmes. If offers customised in-house digital marketing training programs for corporations. Certified Digital Marketing Master (CDMM), a digital marketing master certification course offered in association with Vskills, a government of India initiative, is Digital Vidya's flagship course. The firm is betting on rise in digital marketing and cited a recent report by media buying agency GroupM saying that digital advertising will account for 9.51 per cent of the overall ad spend of Rs 49,000 crore in India in 2015. Digital Academy India Digital Vidya Engaging Ideas Pvt. Ltd.